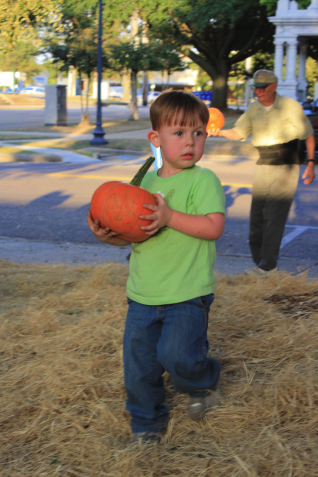 #285 Pumpkin Patch. 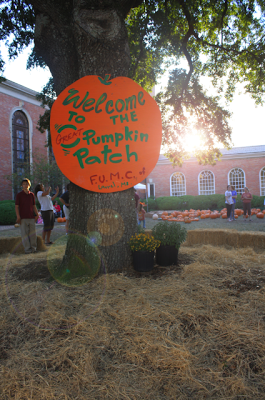 – Laurel Mercantile Co.
Now reading: #285 Pumpkin Patch. I’ve been excited about this all year long — and the pumpkin patch is FINALLY here (after a week and a half delay and a last minute delivery with not a lot of helpers). 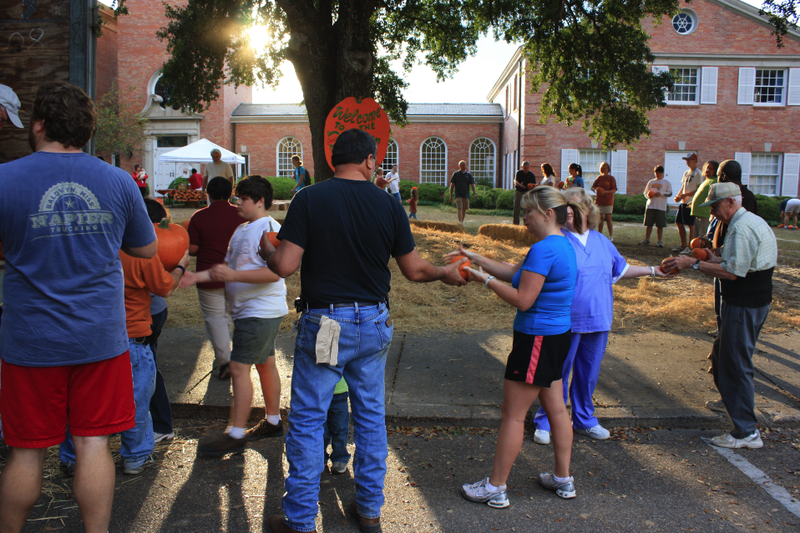 It makes our neighborhood so vibrant and it’s fun being “the pumpkin church” in the county. 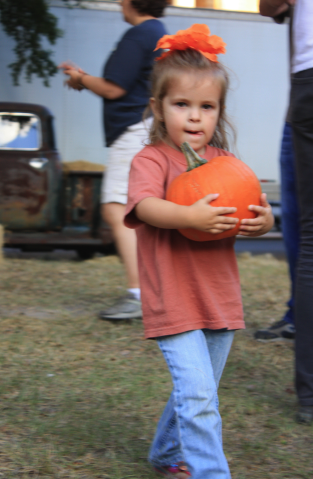 We got more pumpkins than we’ve ever gotten before (around 2,500… which is about 1,000 more than last year), and I’m thinking that’s going to be a curse more than a blessing. With only 3 weeks until Halloween, it’s going to be tough to sell that many. Which means a lot of rotten, stinky pumpkins on the church yard. 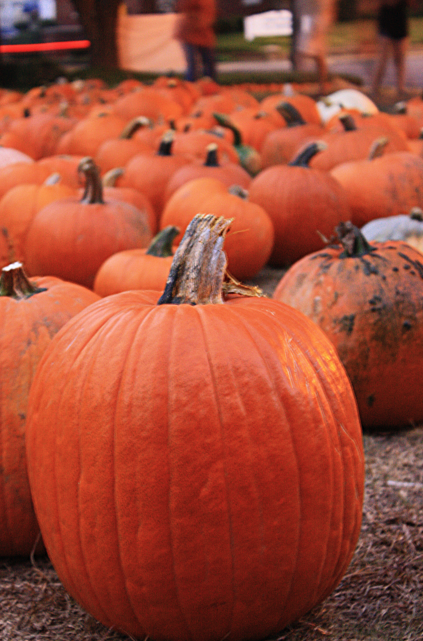 Oh well, for now it’s really beautiful and exciting—bring on the pumpkin seeds and pumpkin pies! This means the holiday season has arrived! Tomorrow, I’ll show you what it looked like when it was finished. Woah.